With mains power adaptor, IR controller and connection accessories. The tape has a transparent, weatherproof coating to provide and can be cut to length required. Low voltage 12Vdc operation and self adhesive backing allows for quick installation indoor and out. A Mains Powered Exteremely Cool White High Brightness LED strip - 1 to 50 metres - cut from the reel. With diffused borders for maximum illumination without side glare. Extremely bright light output sufficient for illuminating signage and architectural details. Mains powered single colour LED strip with 60 high power LEDs per metre. The containment is waterproof and transparent with diffused borders for maximum illumination without sideways glare. 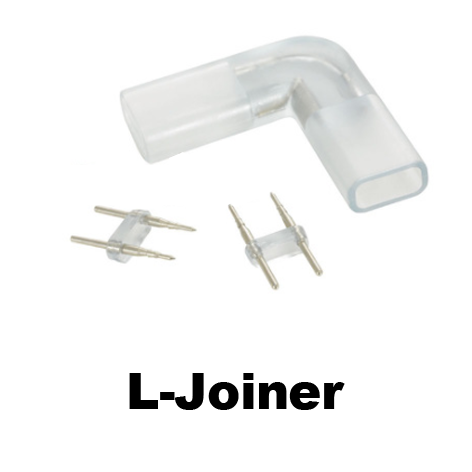 There is a range of optional jointing and installation accessories. Light output is extremely bright and sufficient for illumination of rooms, displays,offices, counters, signage and architectural details. End Cap insulates bare ended mains wires. Joiner joins 2 strips of any length. 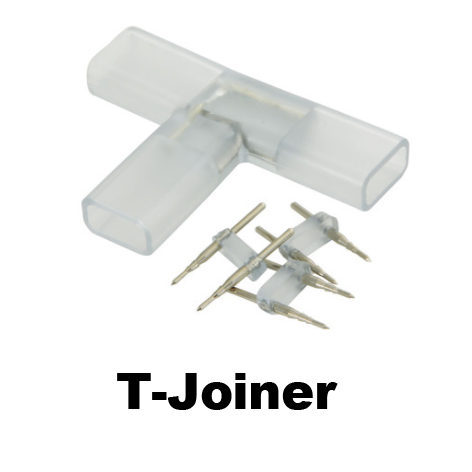 T Joiner to break out of a straight strip. 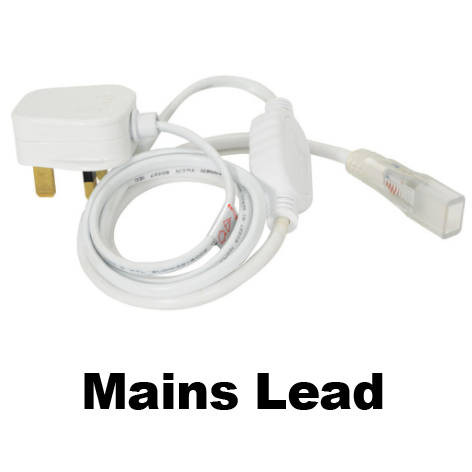 Mains Power Lead for LED50 LED strip system. Mains Lead 230V cable with integral rectifier to supply power to LED50 LED strip system. Use in combination with silicone glue and heat shrink sleeving for a water tight seal. 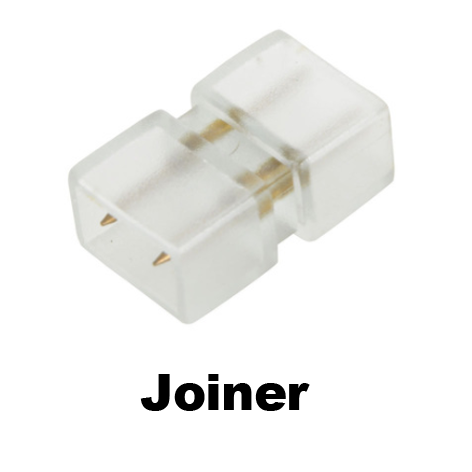 Pack of 10 Couplers for LED50 LED strip system. Pack of 10 End caps for LED50 LED strip system. 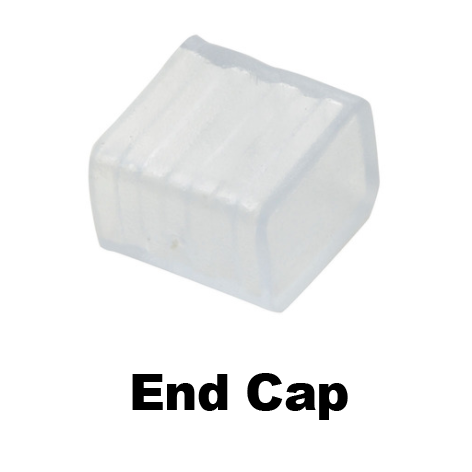 Pack of 10 protective end caps for LED50 LED strip. For use in combination with silicone glue and heat shrink sleeving for a water tight seal. 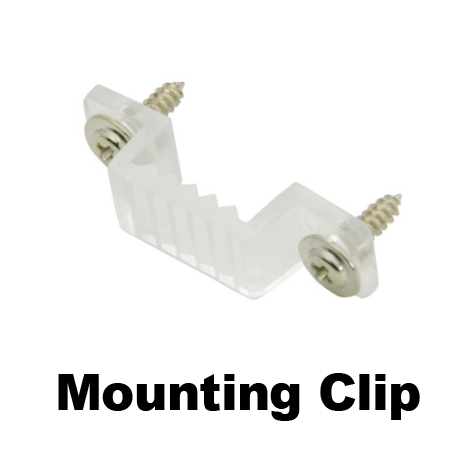 Pack of 10 Mounting Clips for LED50 LED strip system. Pack of 10 plastic mounting clips for LED50 LED strip. 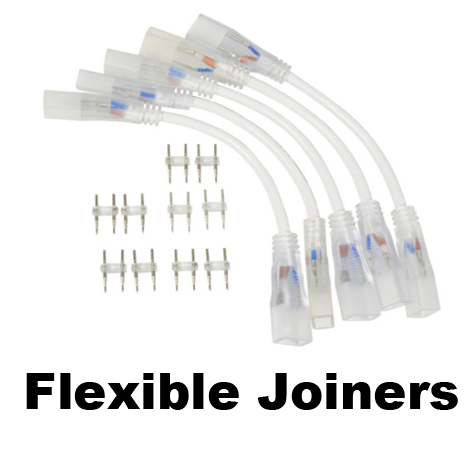 Pack of 5 Flexible Joiners for LED50 LED strip system. Pack of 5 short flexible connection leads for LED50 strip. Use in combination with silicone glue & heat shrink sleeving for a water tight seal. Pack of 5 L shaped connectors for LED50 LED strip system. Pack of 5 right-angle connectors for LED50 LED strip. For use in combination with silicone glue and heat shrink sleeving for a water tight seal. Pack of 5 T shaped connectors for LED50 LED strip system. Pack of 5 T connectors for splitting the power feed to LED50 LED strip. Use in combination with silicone glue and heat shrink sleeving for a water tight seal.